(S0203) The older you get, the more difficult it is to relocate. It becomes much easier to instead envy recent college graduates and their ability to pack their belongings into a sedan, tie a mattress to its roof, and take to the highway on a whim. Something about that lifestyle can stir up all kinds of jealousy, especially if you have your personal roots dug in deep somewhere. Especially if you have a family. 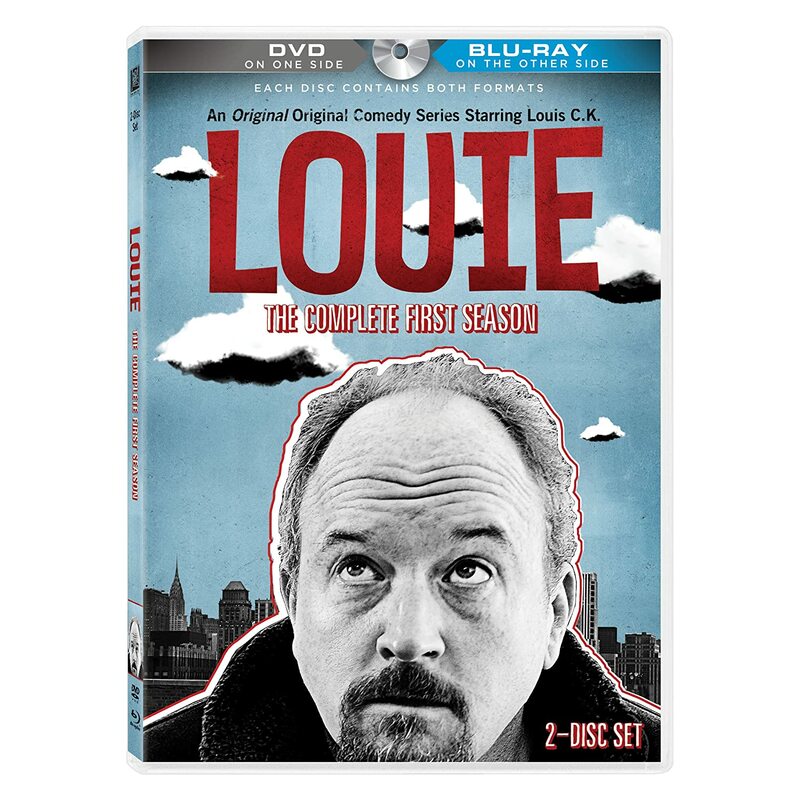 Especially if you’re Louis C.K., as evidenced by “Moving.” the third episode of Louie’s second season. C.K.’s impetus for wanting to move is simple enough: he still lives in the apartment that he shared with his wife, a place where the simple act of moving a piece of her old furniture seems drastic and can draw the ire of his daughter. There are simply too many ghosts of the past there, and Louie feels stifled by them. So begins the search for a new apartment. After being shown a pair of downright dreadful places, he accompanies his friend, the always-welcome Pamela Adlon, to a small flat occupied (because this is Louie) by a confused, underwear-clad old man wielding a pickle. It is here where C.K. encounters the two extremes of life in a large city. The first is the old man’s apartment itself. Though the prototypical compact Manhattan apartment, complete with a toilet in the kitchen, it’s a place where the man has resided for a long time, for better or worse, apparently with his recently-deceased wife. It’s actually pretty heartbreaking, despite the way the scene is played for laughs. This is the scenario Louie fears; having to hunker down and live somewhere for a long while, surrounded by remnants of what his life once was. The second extreme is based in the sort of urban surrealism that the show excels at. Outside the the apartment, C.K. sees a homeless man, standing on a manhole cover, get kidnapped by two men in a black sedan and replaced by an almost-identical homeless man. As is so often the case with the show, we aren’t sure if this is real or just some bizarro daydream, but it illustrates the ways in which many in places like New York City are constantly moving. In a city populated by transients, people are usually succeeded in their apartments by individuals with the same personal and economic struggles that forced them to live there in the first place and who, in certain parts of the city especially, even look the same. Only after the traumas of the old man’s apartment does C.K. find the ideal home, one with five bedrooms, a beautiful garden out back, a “fully modern, yet tasteful” kitchen, and that, oh yeah, just happens to cost $17 million dollars. In another fantastical sequence, the realtor (Donna Hanover) dances circles around CK while spelling out all the reasons why it’s perfect for him and his daughters. Convinced, Louie resolves to buy the place. It isn’t long though before his accountant brings him back down to earth by laying out all the obvious reasons why he can’t. So, after the roller coaster ride of apartment searching in New York, he and his daughters decide to simply paint the walls of their old apartment. It’s a poignant coda to an otherwise madcap episode, but one that carries an important message: sometimes improving what we already have can hold us over until we’re able to realize our dreams of a better life. • Only in New York could one encounter an place with a toilet in its kitchen and a multi-million dollar marvel during the same apartment search. The mention of the kidnapping alone had me howling Andrew. And love the turn of phrase with "urban surrealism." I can't wait to catch up on this episode. Amazing job and huge welcome to TV Geek Army ! I have no doubt that your plug for your site without any comment on Andrew's amazing piece will bring untold hordes of people to check out your review. Good luck!